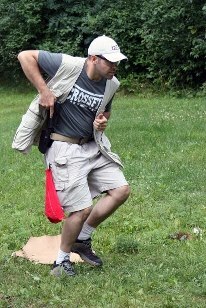 Our Defensive Pistol series courses are designed to help students develop their “gunfighting” skills; clearly not with the intent of being in a “gunfight”, but with the hope that if not able to avoid such a conflict, they prevail. In truth, “gun-fighting” is based on solid fundamentals; regardless of age or gender, these skills are rooted in the basics of marksmanship coupled with basic principles of “fighting” – posture, breathing, relaxation, and communication. Student should bring a reliable center-fire handgun with three magazines or speed loaders, 250 rounds of practice ammunition, strong-side holster, magazine pouch, concealment garment (coat, jacket, vest), cleaning equipment, and eye & ear protection. The course is limited to 12 students. Cost of the course is $150 and pre-registration is required. To register or learn more about this course please call or email Darin – 515-231-3887 / darin@cwrfirearmstraining.com. To learn more about this course please email Darin – darin@cwrfirearmstraining.com. 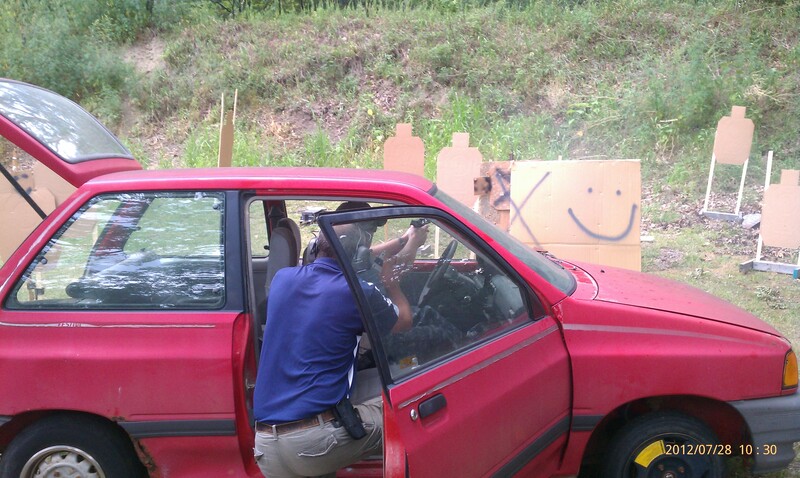 Learning to shoot a firearm accurately is a skill…. With the recent adoption of the right to carry language in the new Iowa Permit to Carry Weapons law, many citizens are exercising their rights and obtaining their permit to carry.weapons. Our goal with training students is not to encourage or discourage citizens to carry firearms; that is a personal choice that involves many responsibilities and possible consequences. Our goal is to provide students with the knowledge, skills, and attitude needed to avoid dangerous confrontations when possible, and to prevail in a life-threatening encounter when necessary. To that end please understand that when you learn to shoot you are developing basic skills. The skill to safely handle a firearm, the skill to manage the fundamental elements of marksmanship in order to accurately hit a target. The more ingrained these skills are, the faster a shooter is able to successfully apply these skills. We call this rapid application of basic skills. When you have the opportunity to watch a master shoot, they are simply applying the same skills that any other shooter must develop, however their focussed practice has allowed them to push much of that skill set from the conscious mind into the subconscious mind allowing them to perform much faster with an incredible level of accuracy. From a defensive standpoint, being able to rely on the subconscious mind for activities such as keeping the muzzle a safe direction and keeping the finger off the trigger until on target and the decision to shoot has been made, as well as having the subconscious mind to manage the fundamentals of marksmanship, allows the defender to be able to utilize the conscious mind to apply tactics to the situtation. For instance, if a person has to concentrate to ensure they have the proper grip or that they are pressing the trigger correctly, they are less likely to think about verbalizing with the suspect or to search for and move to cover. Having the proper attitude toward training and skills development, benefits the shooter through proficient, proper practice. By taking the time to develop efficient movements, with proper manipulation, grips, sighting, trigger press, following through, etc, the shooter develops excellent foundational skills. This is the focus of CWR’s training program – the Crawl, Walk, Run methodology. Our goal is not to see how many students we can train, but to see how well we can train our students. If you have questions about training please let us know.